On the second day of his official visit in New York for the 65th Session of the United Nations General Assembly, Foreign Minister Rassoul today meet with his Montenegrin counterpart, Milan Rocen, to sign a Protocol on the Establishment of Diplomatic Relations between the Islamic Republic of Afghanistan and the Republic of Montenegro. 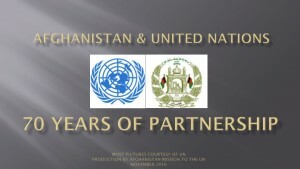 At the signing ceremony, which was held at the Permanent Mission of Afghanistan to the United Nations, the two sides welcomed the establishment of diplomatic relations as an important step in strengthening of ties between the peoples and governments of Afghanistan and Montenegro. Both sides also expressed their commitment to expand cooperation in a number of areas. The Montenegrin Foreign Minister noted that, despite challenges, Afghanistan had come a long way towards becoming a peaceful and prosperous country. He also reaffirmed the continued commitment of his government to Afghanistan in the years ahead, and highlighted in that regard, the start of the second term of duty of Montenegrin forces serving as part of ISAF. Foreign Minister Rassoul also expressed Afghanistanâ€™s appreciation for Montenegroâ€™s support for security and development in Afghanistan.Â In that regard, he highlighted the important role being rendered by the contingent of Montenegrin forces serving in the country. Moreover, he expressed hope for Montenegroâ€™s increased assistance for Afghanistanâ€™s development. The Montenegrin Foreign Minister invited Foreign Minister Rassoul to pay an official visit to Montenegro in the near future.Â Foreign Minister Rassoul thanked his Montenegrin counterpart for the invitation, and expressed his approval to visit Podgorica in the months ahead. Following the signing ceremony Foreign Minister Rassoul held a meeting with Turkmenistanâ€™s Foreign Minister, during which the two sides discussed the situation in Afghanistan, regional cooperation and strengthening of bilateral relations in a number of areas. 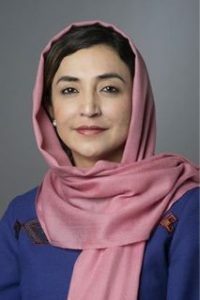 Later in the day Foreign Minister Rassoul will also meet with the Foreign Minister of Japan, the newly appointed Executive Director of UNODC, and the Assistant US Secretary of State for the Bureau of Population, Refugees and Migration Affairs.